Remove the label from the jar, then thoroughly clean and dry it. We used a large pickle jar and a small jar that held canned fruit. 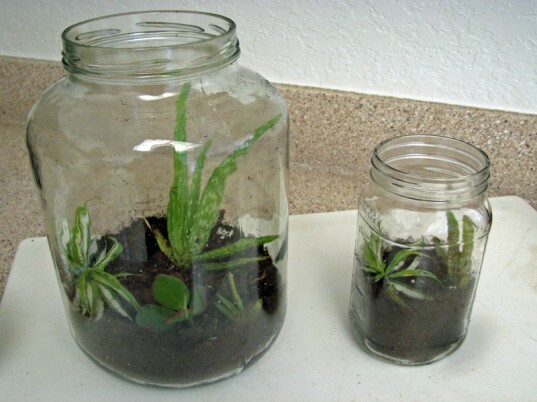 However, you can use any size jar that is large enough to house the plants that you will be planting. 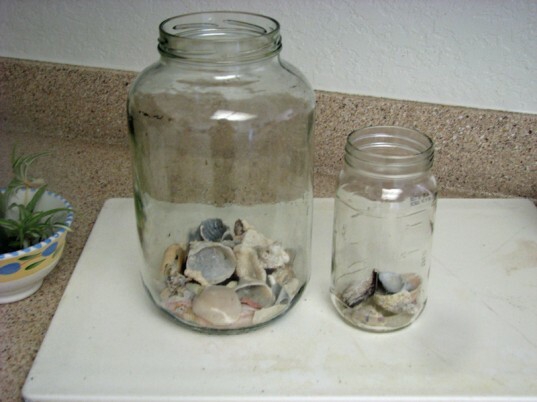 Next, add a small layer or rocks or seashells for drainage on the bottom of the glass jar. We used seashells because we live in a tropical climate. However, you can use rocks, pebbles or even gravel. 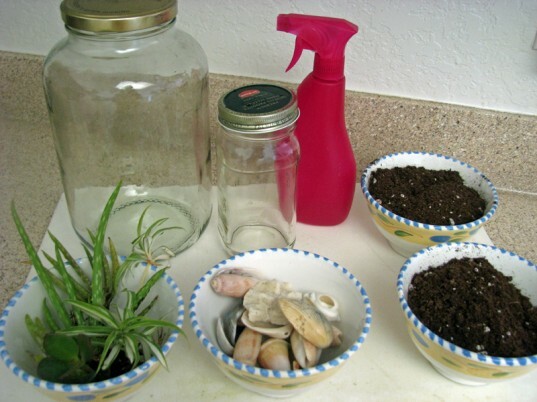 Add a couple of inches of organic potting soil on top of the rocks or seashells in the glass jar. 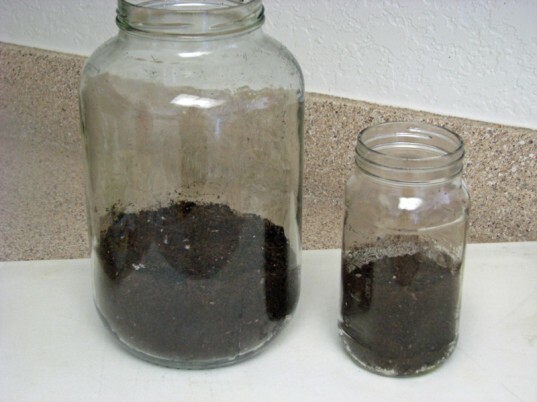 Make sure to add enough soil so that the roots of your plants will be covered. Since we live in a tropical climate, my son and I took a walk around our neighborhood and collected several small tropical plant and succulent off-shoots. You can collect plants and moss that are indigenous to your area, or pick up a few plants at your local farmer’s market. 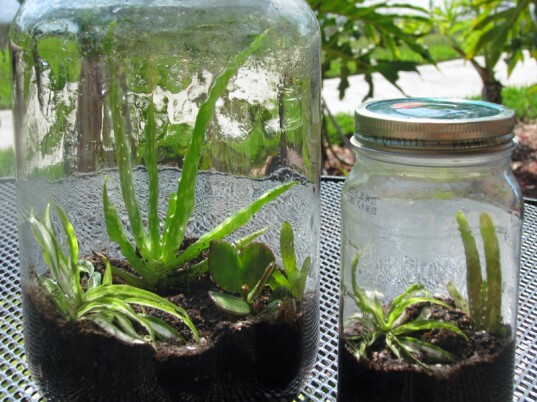 Using a spray bottle, spray the inside of your terrarium with water until the soil is moist. 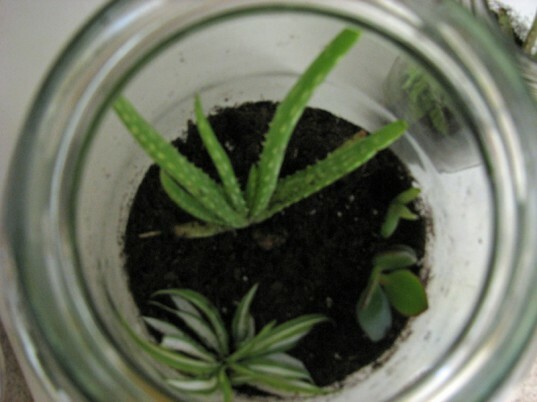 When the inside walls of the terrarium are free from droplets, spray the inside of the terrarium down again. 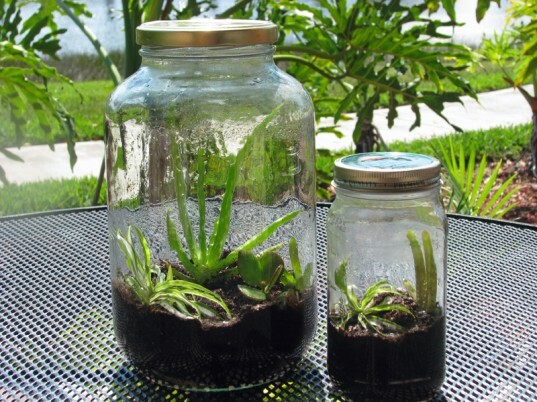 Your child will enjoy having friends and family compliment your terrarium and telling them exactly how you made it together. Since we live in a tropical climate, my son and I took a walk around our neighborhood and collected several small tropical plant and succulent off-shoots. 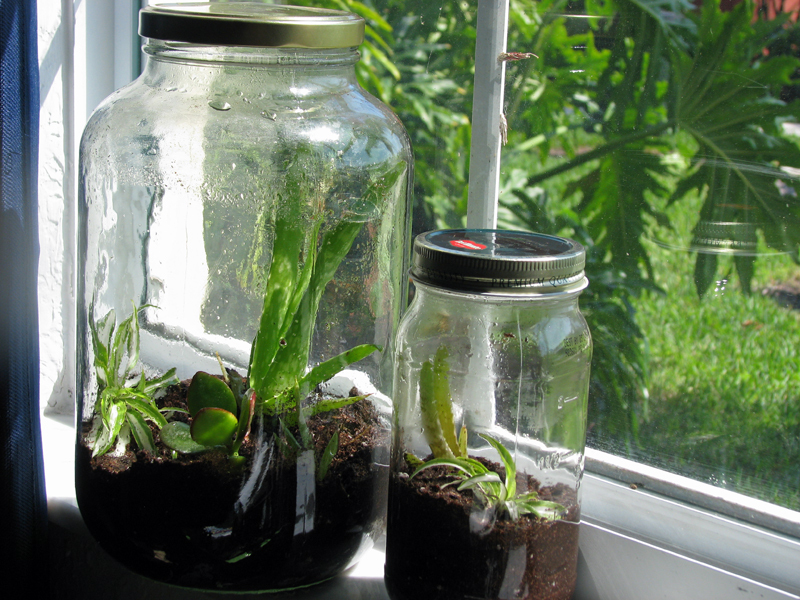 You can collect plants and moss that are indigenous to your area, or pick up a few plants at your local farmer's market.